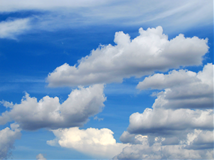 Cloud Computing: Fostering Collaboration | Writing Assistance, Inc. Writing Assistance, Inc.
Technical writers and trainers aren’t always in an office or at a desk. When technical documentation or training materials need to be updated, the person responsible may be on the road at a customer site, snowed in or otherwise not in reach of the office desktop. While having laptops, netbooks, or tablets and access to the Internet is a good start, how can multiple users access the same file from different locations? Cloud computing offers new answers to these problems for many professions. Collaboration – Teams can work together instead of working via a closed network. Team members can talk to each other about changes that need to be made and then go ahead and make them. Global team network – Since technical writing and training development teams don’t need to be stationed in one location, you can hire the best talent out there. Without a need for relocation, companies save money and still get high quality work, around the clock. Multiple storage options – When saving a document in the cloud, the document can also be stored on the technical writer’s or training developer’s home computer as well as on the cloud server. This allows for backup copies, ensuring the safety of the work. Hey, You, Get on to the Cloud! As well as a growing number of software as a service (SaaS) providers. Offering different levels of storage, teams will be able to store documents and other content assets that need to be available at all times by using the cloud solutions that work best for them. Cloud computing options are growing, trying to keep up with the need. With more and more content assets that require collaborative access in use in business today, a place to put it all is only natural. Providing shared access to files in the cloud is attractive and a very viable solution for teams who need to collaborate to keep content assets accurate, up to date, and ready to be used by any who needs them with nothing more than Internet access required. Is your team using the cloud yet? How so or why not? Please leave a comment – we’d love to hear from you!